Rod, do you want a cookie? The boy, who like all little boys, loved cookies completely ignored his mother. That little boy was me. (No, I’m not deaf and my mother calls me Rod, you can call me Rodney.) I ended up at the Washington State University audiology lab with a pile of M&Ms in front of me. But, I’m getting ahead of the story, or more accurately, too far behind, too soon. I’ve read the book, and I’ve listened to the book on the CD. The material is brilliant. This class was a different and unique experience. 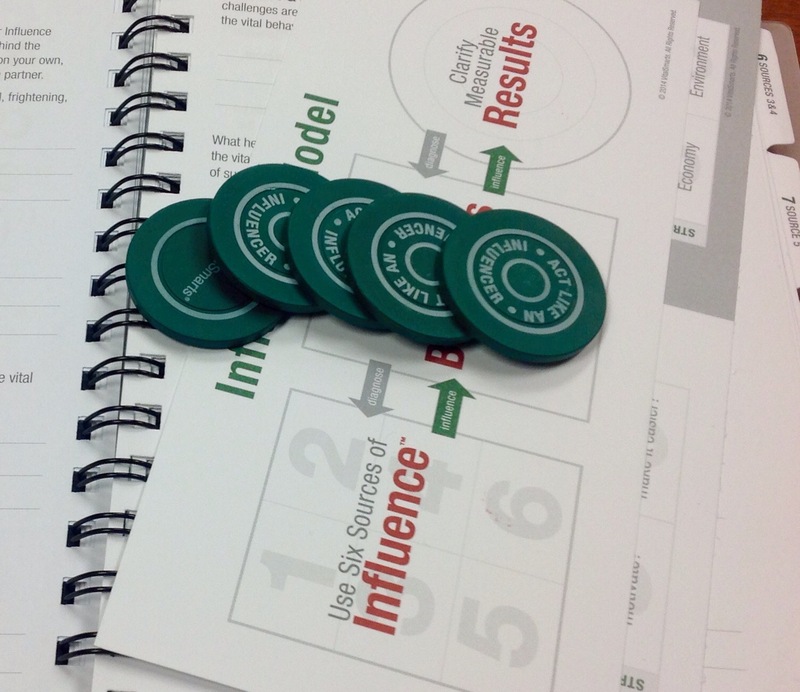 Rather than attempt to cover the material in the book, the course focused on the core concepts; the six areas of influence. I spent many years as a course developer for WordPerfect and Microsoft. There is a difference between a book and a course. The focus over the past two days was teaching. As class members, we worked collaboratively. The course requires the attendees to interact with each other. I spent a lot of time with Neil. He’s working on influencing a member of his family. I also interacted with Daniel who is working on a fascinating secret project. I may write about it at some point when he’s completed it. At my table was my friend Robert and a new friend Phil. We were at times competing with the other 5 tables. The course incorporated a series of “chips” that each table could win. The table with the most chips at the end of the class won a fabulous prize. As an Instructional Designer, I understood the purpose for the “competition” in the course. What was interesting was that not only could you gain chips by giving the right answer, you could also lose them. Our table went from 12 to 11 chips when we missed an answer. We missed out on the fabulous prize, but got to know each other a lot better. This class was a “friends and family” class. In other words, we were mostly a bunch of strangers who were in the class because we knew someone. However, the course is designed to be delivered to a workgroup. The bonding aspect is important. It helps to make class members feel responsible for each other’s learning. As Ashley, our instructor took the poker chip for our wrong answer, I was reminded of being a little kid all those years ago at WSU. I worked with an audiologiest. While I wasn’t deaf, they figured out that I needed some training to recognize sounds. The test was pretty simple. Wearing a set of headphones, I was supposed to raise my hand when I heard a beep. When I answered correctly I got an M&M candy which I promptly ate. 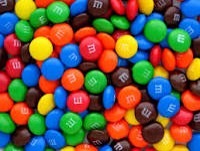 After awhile I decided that a single M&M was kind of unsatisfying. I decided to save them up and eat a big handful all at once. My plan worked well for the first six or seven beeps. I soon had a small pile of M&Ms in front of me. At that point I missed one. I raised my hand, but there hadn’t been a beep. The woman I was working with reached out and took back one of the M&Ms. I hadn’t considered that possibility. I quickly scooped up my remaining M&Ms and stuffed them in my mouth. That wasn’t an option with the poker chips.